There is so much going on at Knot Farm! 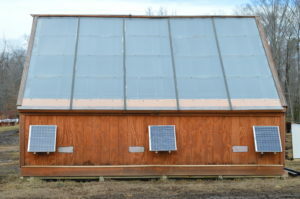 This is the solar kiln I built for drying wood, it requires zero electricity and leaves no carbon footprint. The solar panels drive fans that circulate heat when the sun is shining, at night they are off and the wood can cool down. No electricity? No problem! There are many questions people have on whether to purchase lumber from a local lumber mill like Knot Farms, or purchase from a big box store. 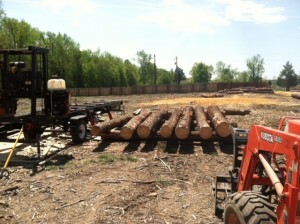 However, there are several reasons to consider purchasing directly from your local sawmill that should be looked at. First and foremost, you are supporting a business, and likely a small business when compared to big box stores. Supporting a family-owned business puts your money into your local economy, which will create a ripple effect and help other local businesses in the area as well. Maybe yours? Much of your commercial stud lumber usually comes from trees that have had just enough time to grow before they can be cut down into 2×4’s. There is more second and third growth being brought to market, and the time to grow before harvest continues to decrease, meaning the quality you receive also continues to decrease. Older trees have had time to develop strength which means quality and longevity for your project. With a local lumber mill, you can pretty much get anything you want. If you want a bookmatched kitchen floor, all you or your local mill has to do is find some nice oak logs to make what you want. 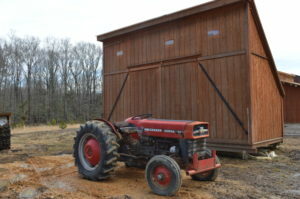 You can create and develop the lumber you need of any variety, which large box stores are unable to provide because they cannot market much except for mass-requested lumber. It’s also easier to match pieces later on if you have to make an addition or adjustment to your project. Big box stores may not continue to carry the piece you need, which means you won’t be able to match your project seamlessly. The general impression is that using a local lumber mill is more expensive than a Big Box Company. In some ways it is, but that is not always the case and there are certainly ways to save money. 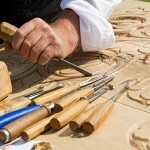 For example, if you provide your own lumber, perhaps from your own property, that will cut down on costs efficiently. Additionally, many sawmills get paid to remove wood, not just mill it. So they may have extra laying around to be used up so that you do not need to petition your own set of logs for milling. This could save time, hauling, and money in the long run. Discuss options with your local lumber mill. The benefit of this is they can usually customize things within your budget. Many small business lumber mill have portable mills they can bring on-site for your project, meaning you don’t have to haul wood, and it can be stacked right where it’s needed rather than delivered or stored elsewhere.